Lkhagvajav Bish's herd of cashmere goats feed on the winter grass in a valley in northeastern Mongolia. The goats' sharp hooves cut through the soil surface, and their eating habits — voraciously ripping up plants by their roots — prevent the grassland from thriving. There&apos;s a lot of time for contemplation when you&apos;re milking cows in Mongolia. 90-year-old Lkhagvajav Bish has milked them for decades. She&apos;s a nomadic herder, and she follows them in their endless search for grass. Today, the ger, or tent, she and her son live in is pitched in a valley surrounded by brown hills whose tops are white with frost, and as her hands squeeze the last milk from one of her herd, Bish reminisces about a time when this valley looked completely different. "We&apos;ve been wintering in this valley for 30 years," she says, looking away from her cows toward the hills in the distance. "Back then, the grass came up to my chest. It grew so tall that we had use a sickle and horse-drawn equipment to cut through it. But the grass of my time is gone. There&apos;s no longer enough to feed the animals." The culprits stand innocently grazing nearby: cashmere goats. Their sharp hooves cut through the soil surface, and their eating habits — voraciously ripping up plants by their roots — make it impossible for grass to thrive. But thriving isn&apos;t a problem for the goats. If there&apos;s no grass, livestock in Mongolia eat feed, a mix of grains that herders must buy in the city. "Goats reproduce faster than all my other animals, even faster than my sheep!" Bish says with a frown. "Not too long ago, I used to have 20 of them. Now I&apos;ve got 150. I don&apos;t want that many. They&apos;re just taking over." Thirty years ago, when the grass grew tall, cashmere goats made up 19 percent of all livestock in Mongolia. Since then, their numbers have skyrocketed to make up 60 percent today. The explanation goes beyond the animals&apos; capacity to breed. This is about money. China, Mongolia&apos;s biggest trading partner and southern neighbor, has strict controls on importing meat and milk from Mongolian sheep and cows, but not on cashmere. It is the biggest consumer of cashmere from Mongolia. Mongolia produces a third of the global supply, and cashmere makes up 40 percent of the country&apos;s nonmineral exports. Mongolia produced more than 7,000 tons of cashmere in 2015, the last year on record. The rise of China&apos;s consumer class has meant the price of cashmere has risen by more than 60 percent since the 1980s. Now, Mongolia&apos;s million nomadic herders have turned to herding goats to make a living, destroying their own grasslands in the process. In the past, they relied on cows, sheep, camels and yaks to make a living instead. "Today, Mongolian rangeland is at a crossroads," says Bulgamaa Densambuu, a researcher for the Swiss-funded Green-Gold project. 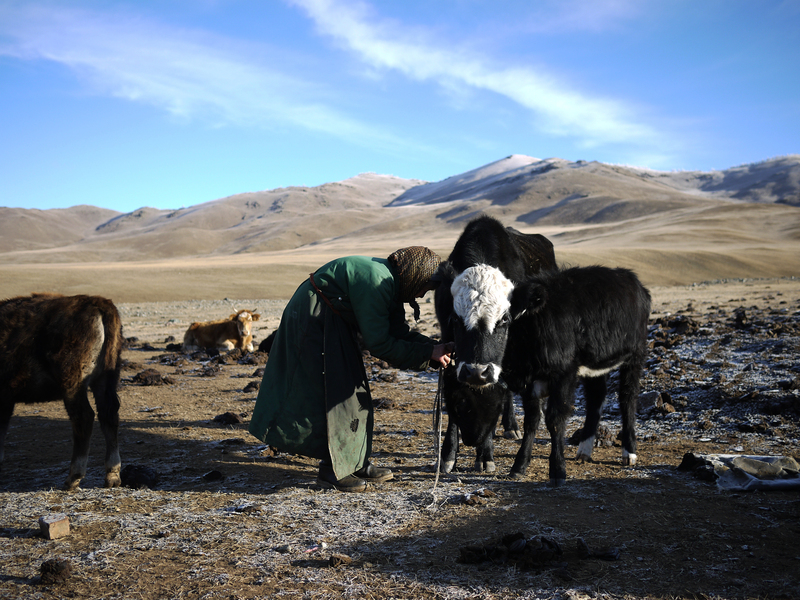 Her organization focuses on preventing overgrazing of Mongolia&apos;s grasslands, which Densambuu calls "rangeland." Densambuu recently completed a survey that found 65 percent of Mongolia&apos;s grasslands have been degraded due to overgrazing of cashmere goats and to climate change. The climate change has led to a 4-degree Fahrenheit rise in average temperature in Mongolia, outpacing the rest of the world by three degrees. But Densambuu hasn&apos;t lost hope. 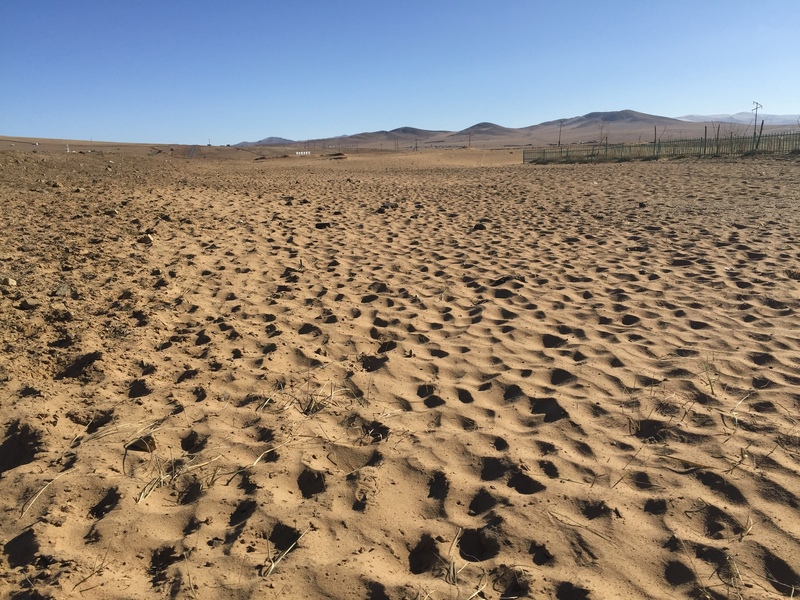 "Ninety percent of this total degraded rangelands can be recovered naturally within 10 years if we can change existing management," she says from her office in the capital city of Ulaanbaatar. "But if we can&apos;t change the existing management today, it will be too late after five to 10 years." 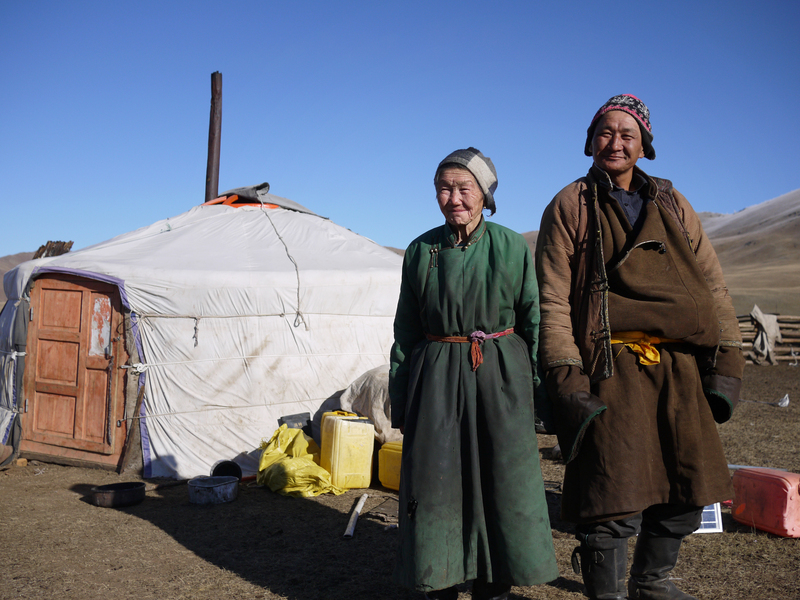 By then, she says, Mongolia&apos;s grasslands would be transformed into an ecosystem that would be unusable, bringing an end to Mongolians&apos; traditional way of life. "A desert would be much healthier," she says. That&apos;s why Densambuu and other activists and groups are working with herders to come up with viable solutions. Gankhuyag Nyam-Ochir, who directs the Mongolian Association of Pastureland User Groups, representing a third of all nomadic herders in Mongolia, says the trick is to supplement herders&apos; income from cashmere goats with other animals that carry the promise of high revenue, like yaks or camels. "Yak wool and the hair from a baby camel have fibers that are just as fine as the wool from a cashmere goat," says Nyam-Ochir. "If a baby camel&apos;s hair is combed early in its life, its hair is much finer than a cashmere goat." Nyam-Ochir is convincing his herders to trade in their goats for camels, whose soft paws are much easier on the land. 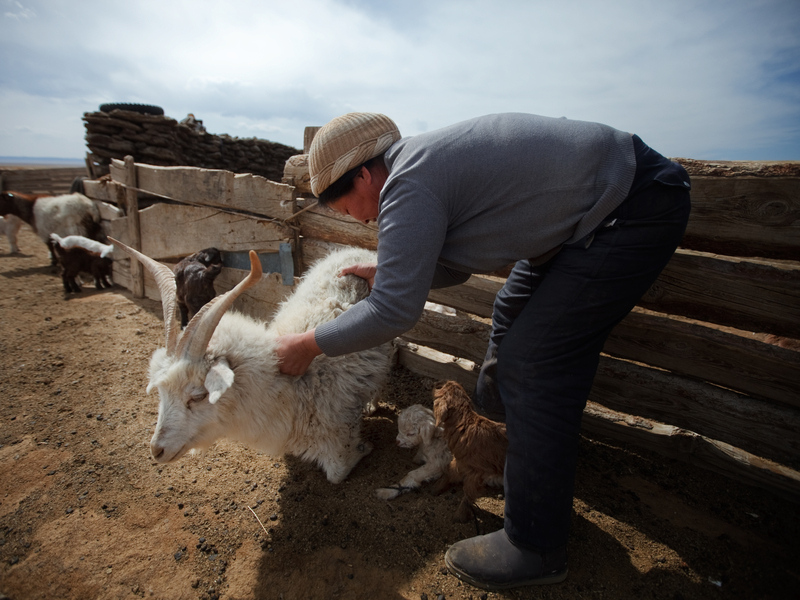 He says if herders don&apos;t start to get rid of their goats now, Mongolia&apos;s grasslands are doomed. But try telling that to Lkhagvajav Bish, the 90-year-old herder. "Yes, I know my goats are harmful to our grassland and the more we have, the worse our land becomes," says Bish. "I get that. But this is how we earn our money." Bish prepares a pot of salty milk tea inside her ger while her goats graze outside. She says there is so little grass left that she&apos;s had to buy supplemental grains to feed her livestock, otherwise they&apos;d die. But not the goats, she says. They seem to live through anything. She says she doesn&apos;t know what the answer is. "All I can do," the 90-year-old says after a sip of hot tea, "is watch my grassland disappear."